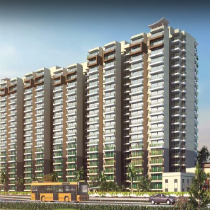 Most of affordable housing projects in Gurgaon come under the Haryana Government affordable housing schemes. These projects offer quality home with good features at cheap prices. If you are unable to buy luxurious home for 30 to 80 lacks rupees in Delhi or Gurgaon, you can move to the affordable housing projects where you will be able to have your own home under your budget. The projects offer 1BHK and 2 BHK homes at competitive prices. If you choose such kinds of projects for making your home, you will be able to bring a nice gift to your family even when you don’t have a large amount of money. This will be great to make possible buying a home under flexible payment plan. It is great to make it your own home instead of giving a big amount of your monthly salary as the rent of your rental home. Remember the amount of your monthly installment will be a simply bigger than the money you pay a monthly rent. After buying your own home with affordable housing scheme Gurgaon, you will be able to save money which you give to your landlord. No matter which type your requirement is, affordable housing projects offer you the most suitable home. Considering the different requirement of Home buyers, the affordable housing projects are designed and developed with different kinds of homes so that every home buyer can buy their home as per their family needs or future plans. That is why; you can also come forward with your estimation and home requirement.